Hopefully all these mullets being in the same place doesn't interrupt the time space continuum. You don't necessarily, absolutely need these, but you also do. 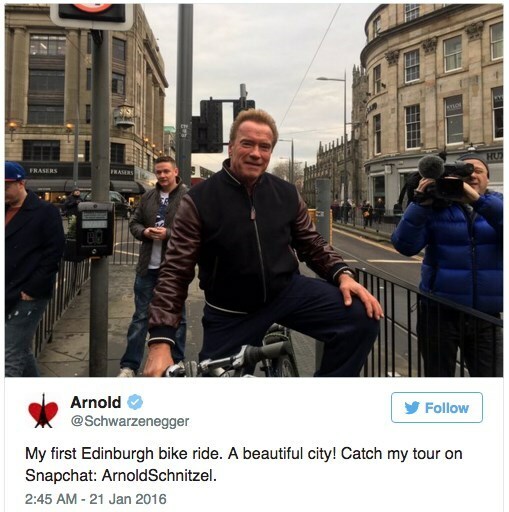 Arnold decided to take a bike ride around the city while visiting Edinburgh in Scotland. He seems like he's having a great time, there's only one problem. He's riding the wrong way on the road, leading everyone with him into oncoming traffic. What? 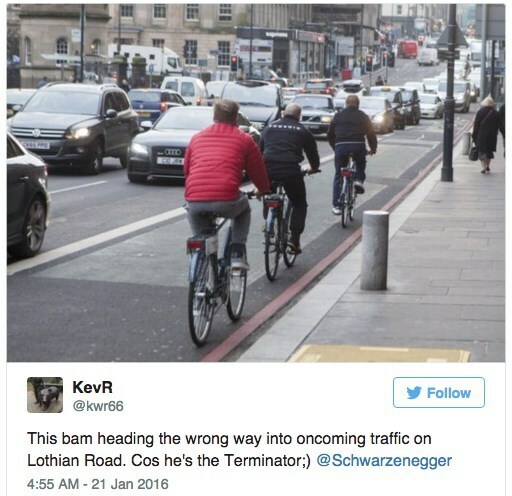 Were you expecting Arnold Schwarzenegger, the Terminator, to wear a helmet and follow traffic regulations? Atlas is a testbed humanoid for disaster response, but it looks like it knows its way around a phased plasma rifle in the 40-watt range. Fortunately, it comes from Massachusetts, not the future.